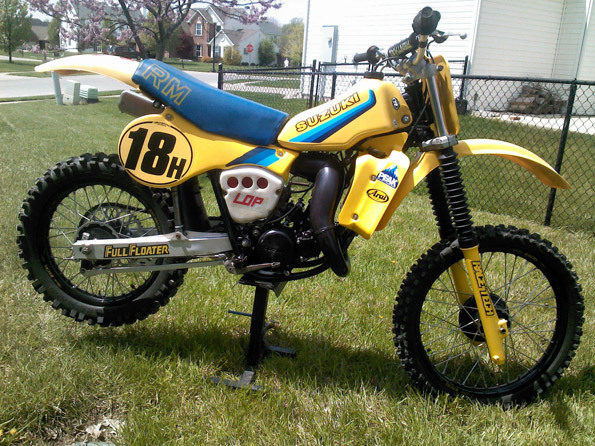 1982 Suzuki RM125 vintage motocross bike in GREAT condition. Was AHRMA expert class raced for a few seasons and meticulously maintained. Bike has Eric Gorr engine mods including the factory pipe modification and some porting. Has Race Tech suspension internals front and rear set up for 150 pound expert level rider.